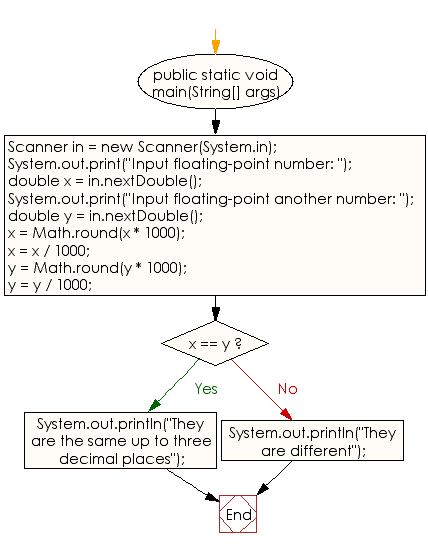 Write a Java program that reads in two floating-point numbers and tests whether they are the same up to three decimal places. Previous: Write a Java program that keeps a number from the user and generates an integer between 1 and 7 and displays the name of the weekday. Next: Write a Java program to find the number of days in a month.